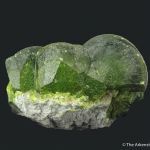 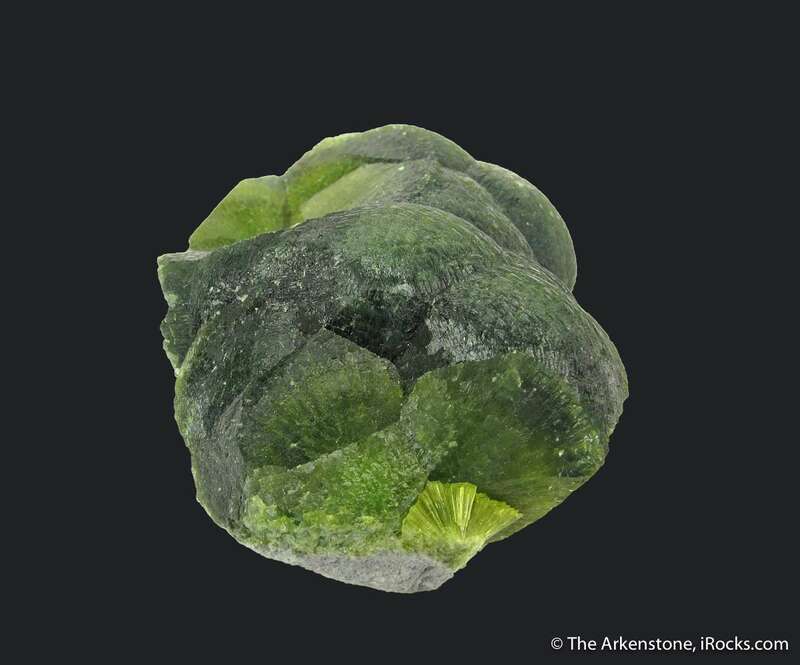 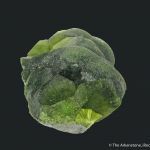 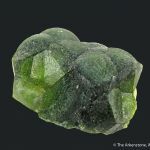 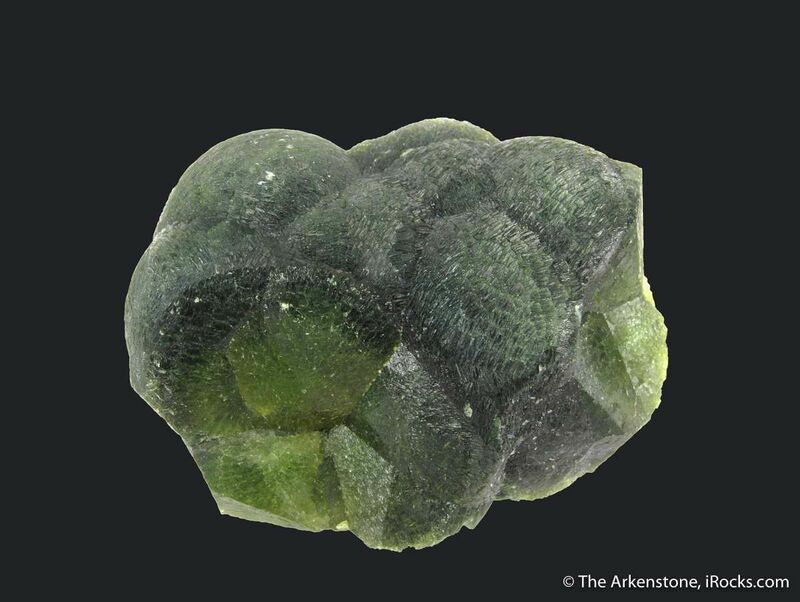 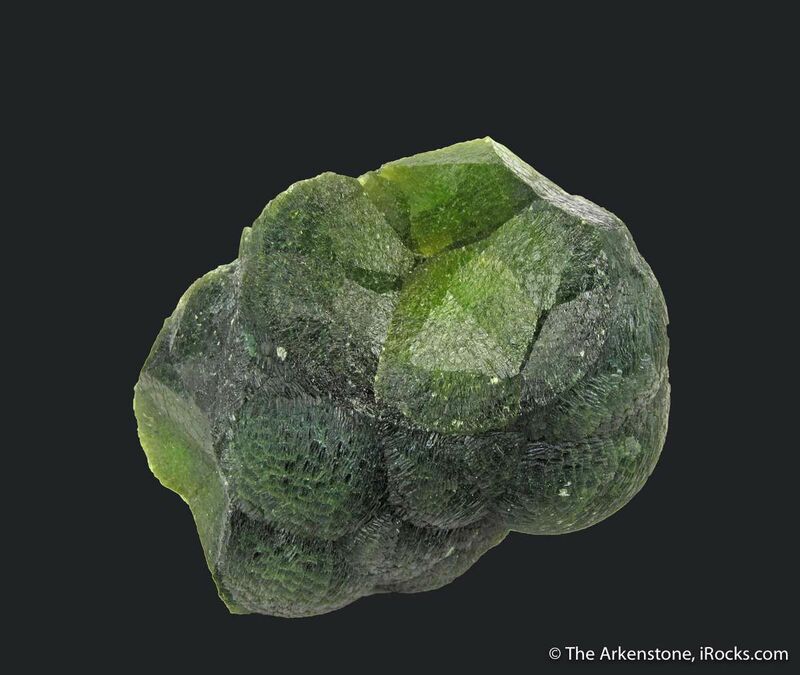 SUPERB, virtually complete, Wavellite miniature from Germany. 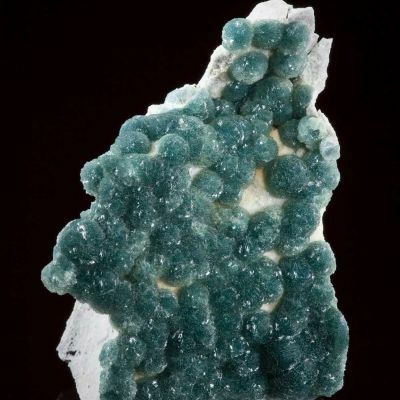 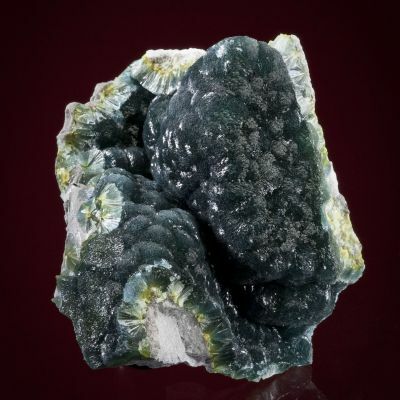 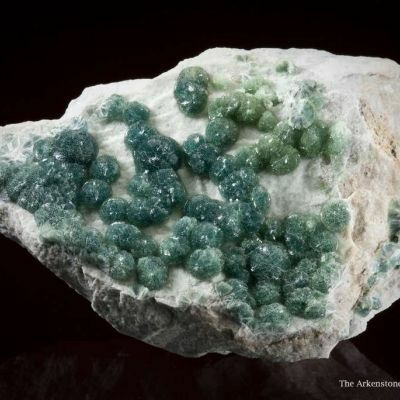 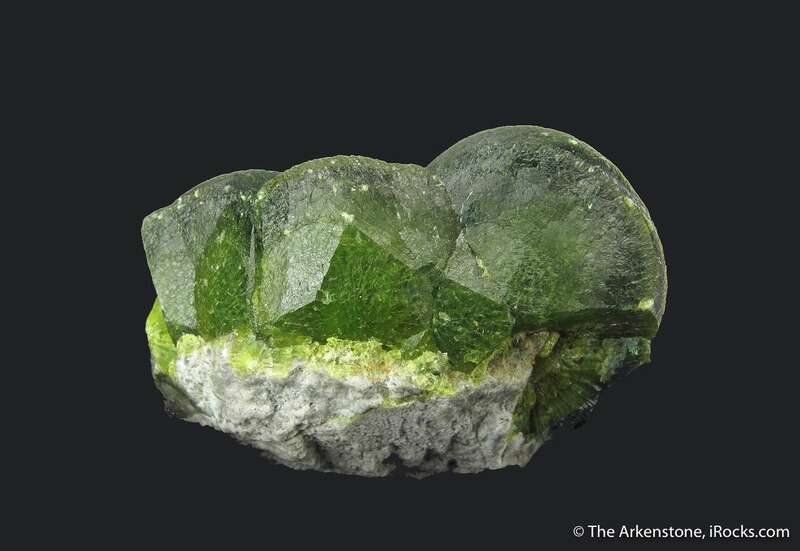 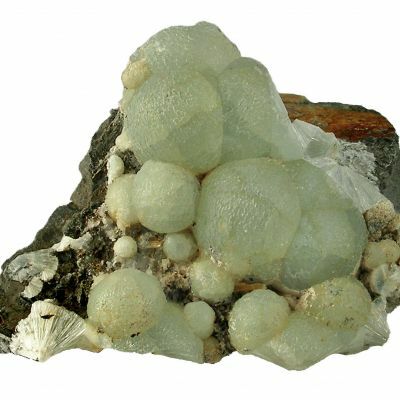 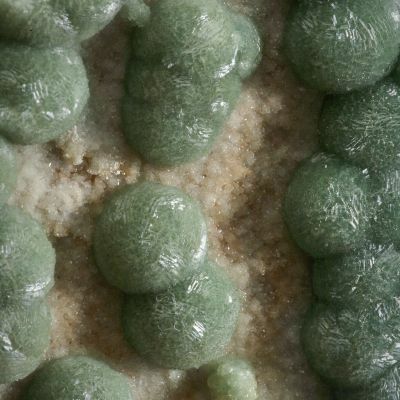 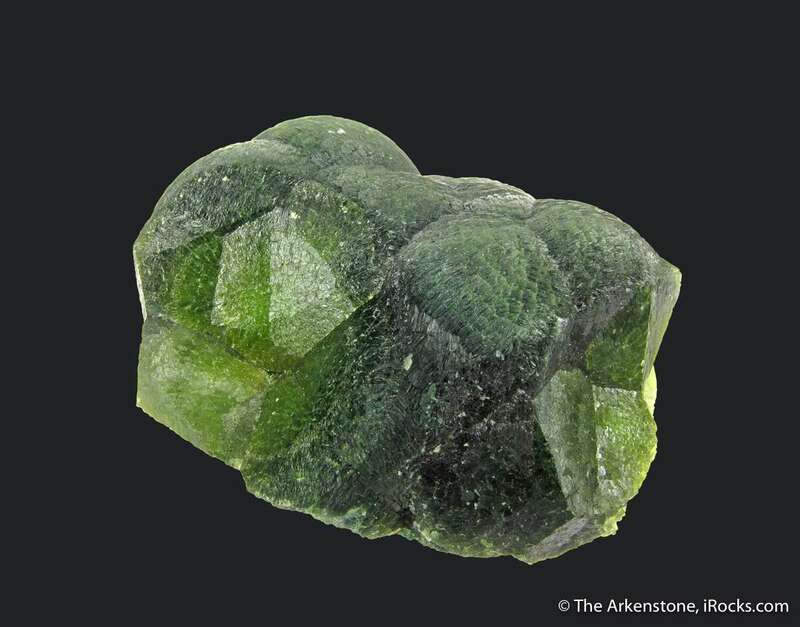 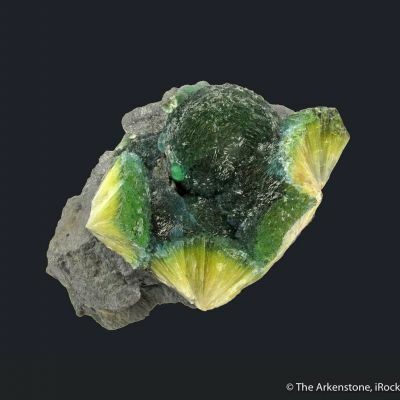 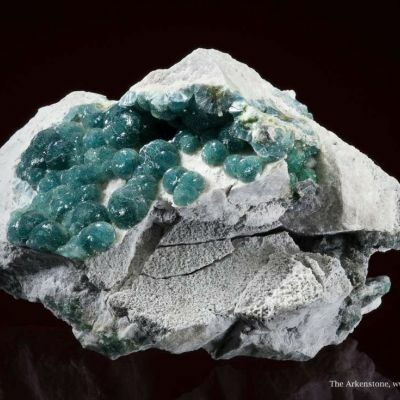 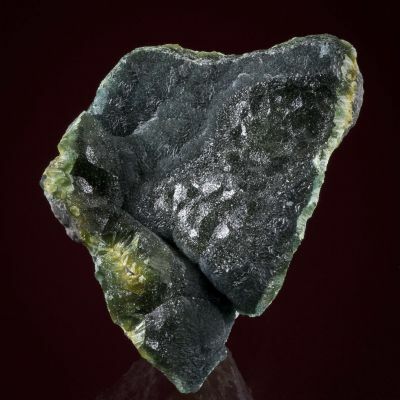 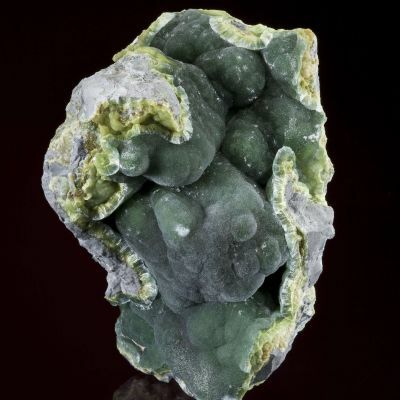 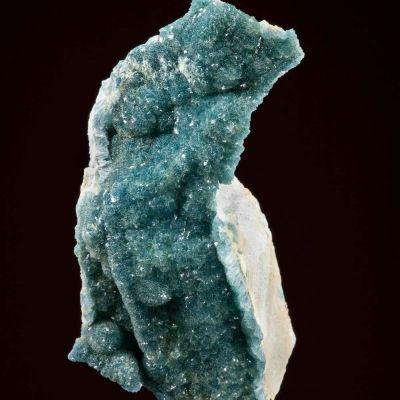 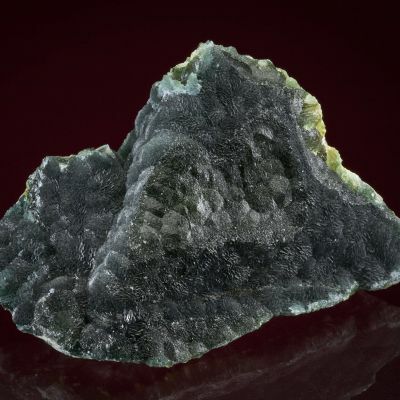 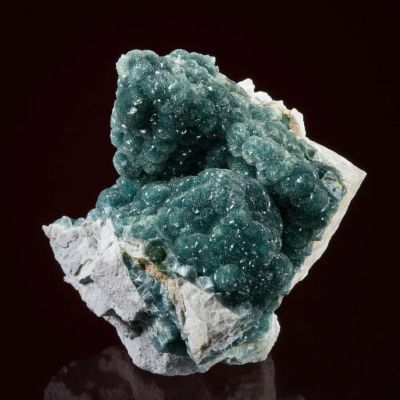 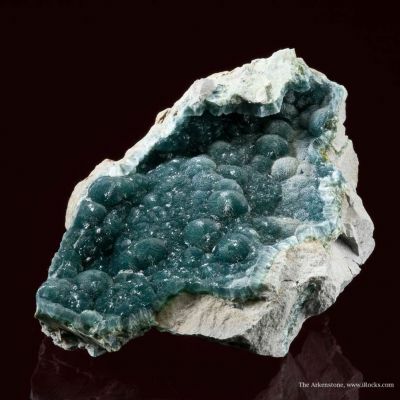 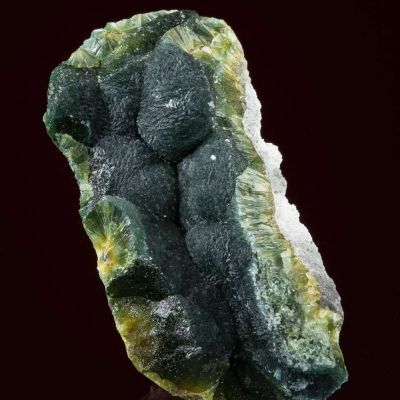 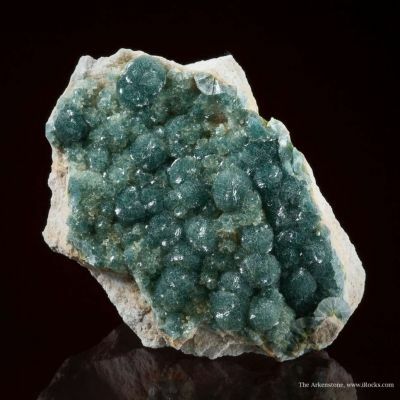 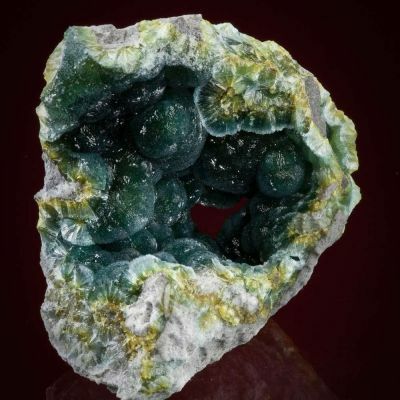 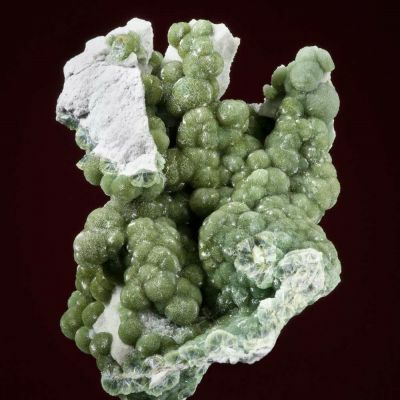 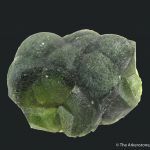 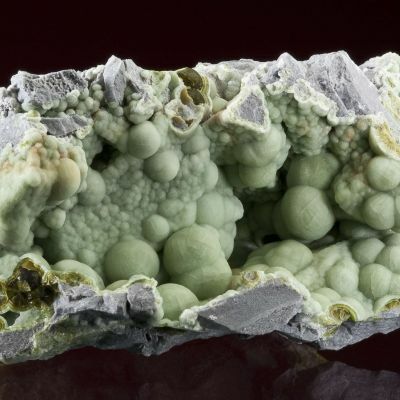 The deep, forest green color is excellent, and the terminations of the radial crystals creates a fine luster on the surface of the intergrown spheres. 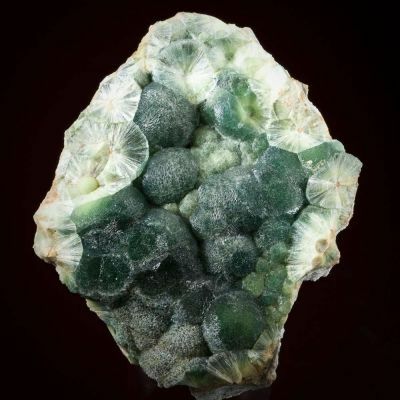 What is so unique, and something I have not seen before, are the actual crystal faces on the sides of the spheres. 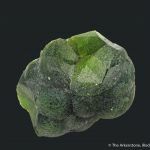 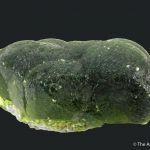 Whether they are actually flat, negative, crystal surfaces of the Wavellite, or actually contact features of once-adjoining crystals, I do not know. 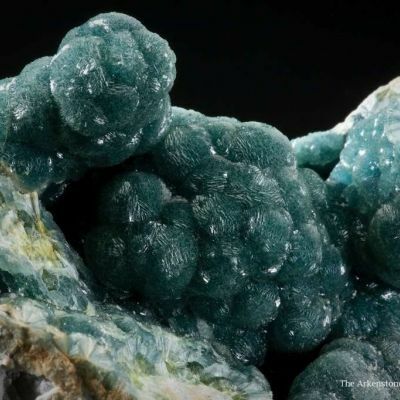 Either way, it is simply remarkable. 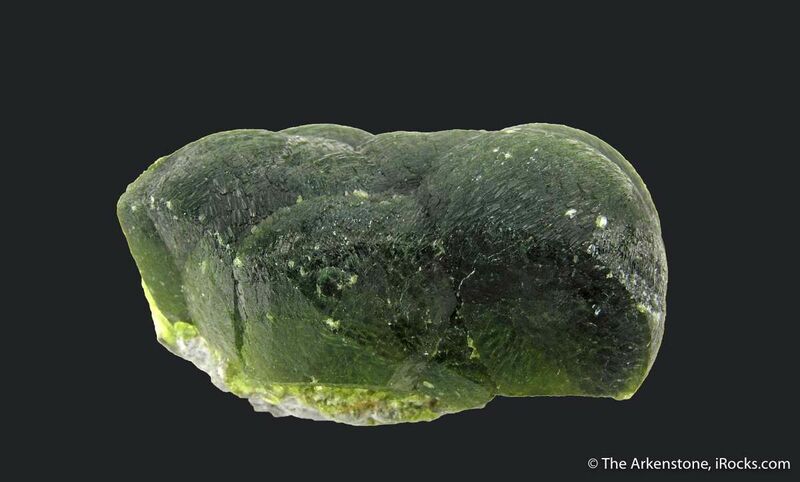 This exceptional and aesthetic miniature has a small amount of matrix.